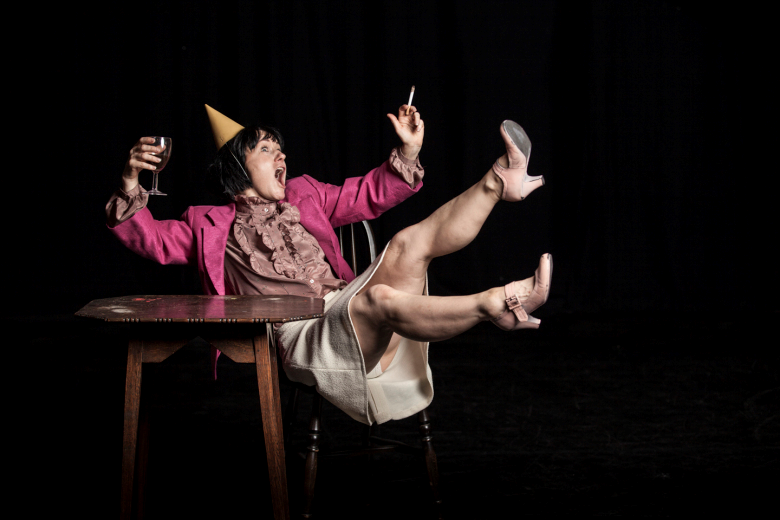 Coal, stunning viseral dance at Derby Theatre 9-10 May 2017. – East Midlands Theatre. To return to my original review and as inspiration for current audience members to attend and get excited about the piece I will continue with my quote: “In the coal mining scenes the audience get to understand and are uncomfortably at one with the hard labour of the miners depicted through the dancers’ energetic body movements, often shown to be in cramped and dangerous circumstances. The repetitious dance is exhilarating yet exhausting to watch. As an audience member one almost longs for their chance to stop working and grab some snap. The thrilling underground soundscape is created and arranged by Daniel Thomas with original sounds taken from the National Coal Mining Museum for England at Caphouse Colliery. When Thatcher (Eleanor Perry in a chilling and superbly danced role) haunts the stage there is a distinct chill in the air, appreciably more than we get from any regular panto or stage villain. With the latter the audience generally concede to the fact that it is an actor playing the role and there is a feeling of amusement at their stage villainy. In this show, the sharp stylised dance movements with the familiar faux sympathetic tilt of the head and Steve Nallon’s Thatcher voice over we get a real monster. Even at the rapturous curtain call there is uncertainty whether to applaud the dance image of Margaret Thatcher. Coal uses a mix of live music from the brass band, classical music, folk song, 1980s pop song, and original music all to extra-ordinary effect. The set is mostly a bare stage with simple props and metal and plastic buckets add practical and percussive notes to enhance the drama of the piece. Coal is at Derby Theatre 9-10 May 2017 Other tour dates can be seen HERE. Featuring members of Derwent Brass, who appeared in Derby Theatre’s record-breaking production of Brassed Off in 2015. 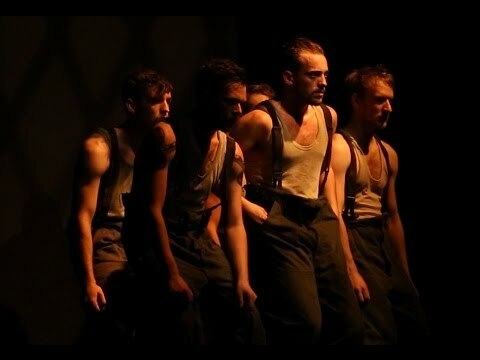 Created to mark the 30th anniversary of the end of the 1984/5 British miners’ strike, award-winning choreographer Gary Clarke proudly presents COAL, a riveting dance theatre show which takes a nostalgic look at the hard hitting realities of life at the coal face. Bringing together Clarke’s striking physical language performed by a company of seven stunning professional dancers, a local community cast of women and featuring members of Derwent Brass, COAL is an emotional, moving and ever-relevant exploration of community, solidarity and survival.